Since I have started freediving I always had a real struggle to reach the 100m wall in dyn despite having a normal static(6’24”). My real struggle starts at around 75m(50m pool) where i am in such a pain that I have to quit most of the times before or at the 100m wall. Sometimes in DNF I don’t even reach the 75m. This has been really frustrating...even my instructor doesn’t know what to do with it. I also noticed with walking apneas reaching two minutes is a real pain. First of all there is almost no comparison between static and dynamic. Consider them two completely different sports. The rest of this could sound a little over simplified, but it isn't. First imagine that you are doing a deep CWT dive (50m) and at -25m on the way back up you start to get really uncomfortable.. what are you going to do, start breathing or get back to the surface? well obviously theres only one option.. The trick with DYN (when limited by discomfort) is to consider the end to be the "surface" and just set a goal of x-meters, with a no more or no less rule.. If you decide to do 80m. you do 80, not 79 and not 81. Using that method you can then add meters similar to setting the line in depth. The interesting thing about freediving is that discomfort related limits are always in the mind. In order to apply the above mentioned method, you must find a good reason to do a longer DYN than you would find to be comfortable, then just do it. The idea behind this is that you cannot "be in such a pain that you have to quit". The only valid reason to come up is hypoxia, at least this is what you have to convince yourself of. As soon as something is considered impossible, then yes.. you are immediately putting a performance cap in your mind. However I will note, in order to avoid you doing anything reckless like attempting 100m without considering all of the factors. The advice given to @Icecool82 is really only applicable to individuals who are purely limited by discomfort and not hypoxia (6:24 static, although I said not to compare disciplines suggests he could do >100m without hypoxia as its only a 1:40 dive time). Before that, there needs to be a certain level of training (CO2 + technique) that must be achieved before saying that you can just push for it. All of that being said, anyone can do 50m DYN if you put your mind to it.. I'm assuming/hoping you've taken a course. if you did you should have learned about relaxing before the dive, and also maintaining as much relaxation for as long as possible. You should never start a dive if you are "a bundle of nerves", and if you do start a breath hold like that you will quickly reach a point of discomfort bordering on panic. I have never tried number one so I will give a try to it. The "real pain" is a discomfort that all the time makes me trigger the conservative part of my brain that says "get out" while contractions frequency and strenght increase. Apart from convincing myself with a positive thinking is there any other method? Normally my approach is really calm and breath up is very relaxed also. Good advice! When i can afford it i want to take a course. I'm pretty conservative, really. 25M is about my "comfortable" distance, not that much really. The classic "get out" is exactly where I think finding a good reason to do a specific number is really important. I think that the psychology of freediving is very specific in that we have to over-ride a survival instinct. DYN is very particular in that unlike static the discomfort usually starts quite early and at a higher intensity, and unlike depth the temptation of the surface is right there. So motivation plays a key role in achieving results. There are lots of methods for increasing performance (CO2/O2 tables, technique, relaxation...) and looking at your static results I'm sure you've experienced them.These methods do have their limitations in that they only mimic certain parts of the dive, they aren't the dive itself. I am a firm believer that small step by step increases are the best way to increase performances as it trains both the body and the mind to be comfortable with what ever you are doing through repeatability, and consistency. The idea is that you cannot hope to do more than something you haven't done consistently. if you're goal is to do 110m DYN, then start with something you know you can do. lets say 75m. Session 1 you do 75m easy. then session 2 you do 80 easy. session 3 85 was harder, so you repeat. session 4 85 was easy. by then you get in the rhythm of that pattern and mentally every "new" distance is really only 4-5 seconds longer dive than the last one so it doesn't seem so bad. Physically your body will react in a positive way to not being stressed and the dives will start to feel easier.  Of course like you said about your approach, all things freediving related should be approached in a calm and relaxed way. Something else you could add in is visualization. Just imagine yourself doing the dive over and over again in the days leading up to the attempt(s)/sessions, but you have to be realistic. You cannot imagine doing the whole dive feeling great, you will have contractions, you will have lactic acid.. The more you are prepared for that mentally the better you will react to it when it happens. For me this is the most important part for this method of training, and for my own training. Did you consider studying world's champions record breaking videos? I have so much counting how many seconds they did in each lap, how fast they did their DNF and DYN? see how far each kick and glide will take you. but i've still yet to translate that to more distance. Here's an interesting Ted Talk on how you can trick your mind into doing what you want it to do . You'll here this example a lot in sports science material but it took years for someone to break the 4 min mile. However once they did in the following year others broke the 4 minute mile. Nothing special changed except the belief they could do it. Someone very good in dynamic once told me "when it starts to hurt, just keep swimming." Probably the worst and best advice anyone's given me in dynamic. FYI I have never done more than 90m still trying to keep swimming. I actually just watched this TedX talk. I have a LOT of issues with self confidence / relaxation and retraining the mind. Maybe we all do. Just seems like i struggle with it particularly. I guess any athletic endeavor necessitates a push beyond limits at some point I appreciate all the helpful discourse to a newbie like myself!